Situated in the heart of Lille, Calm Appart Hotel is within walking distance of Euralille, Old Stock Exchange, and Lille Grand Square. Also nearby are Rihour Square and Palace of Fine Arts. 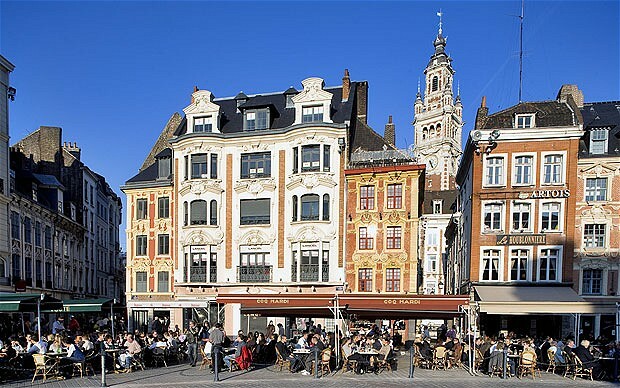 Take the Eurostar and discover the young and cultural city of Lille, whose Flemish influence can be seen not only in its architecture but also in the irrepressibly cheerful nature of its residents. In the heart of the city, the Crowne Plaza Lille Euralille hotel is situated opposite from Lille Europe Train Station and feet away from Lille Flandres Train Station. All guestrooms and suites are spacious and luxurious.